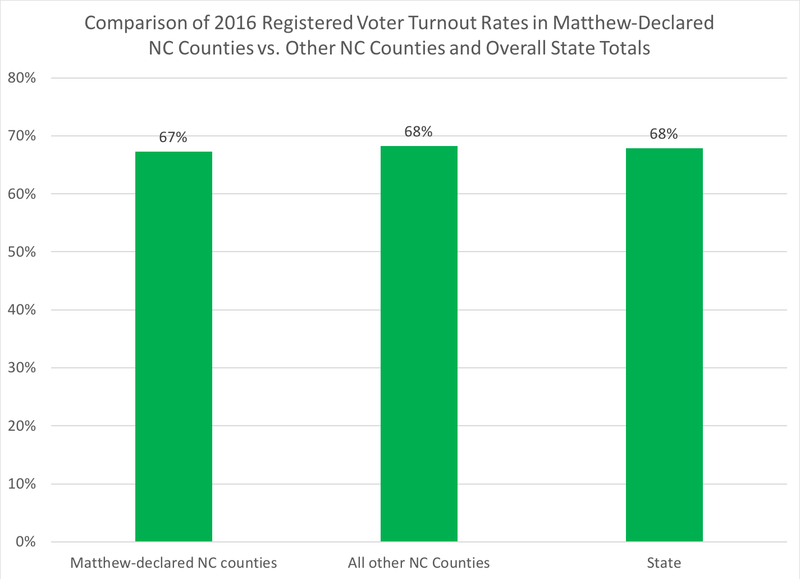 Old North State Politics: Did Hurricane Matthew Have An Impact on 2016 Elections? 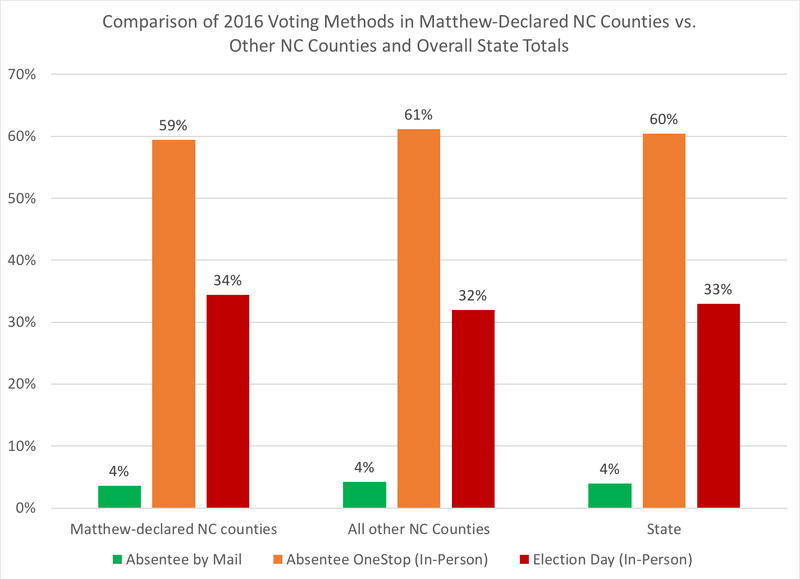 Did Hurricane Matthew Have An Impact on 2016 Elections? 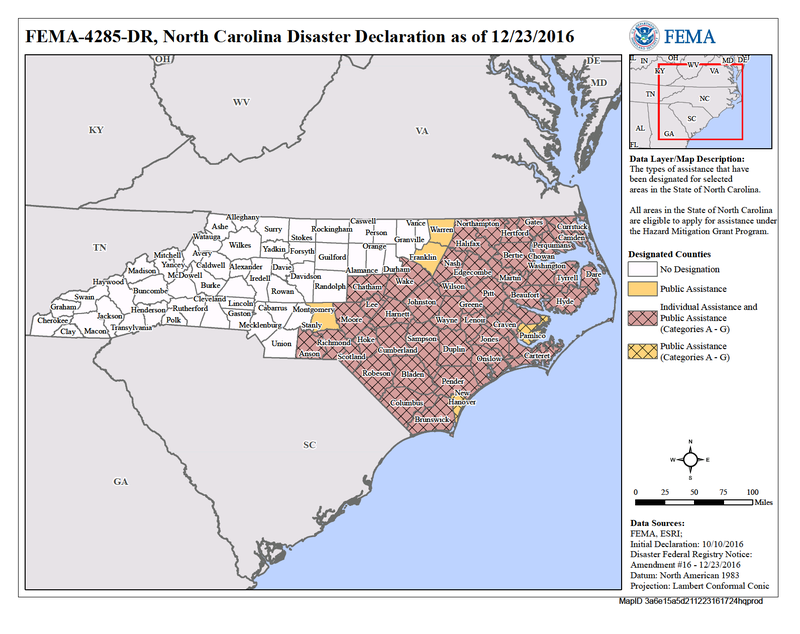 I've gotten a couple of calls from reporters regarding the question, was there any impact from Hurricane Matthew, that hit North Carolina in mid-October of 2016, to help us understand what might be in the forecast for the impact by Hurricane Florence in this year's election? 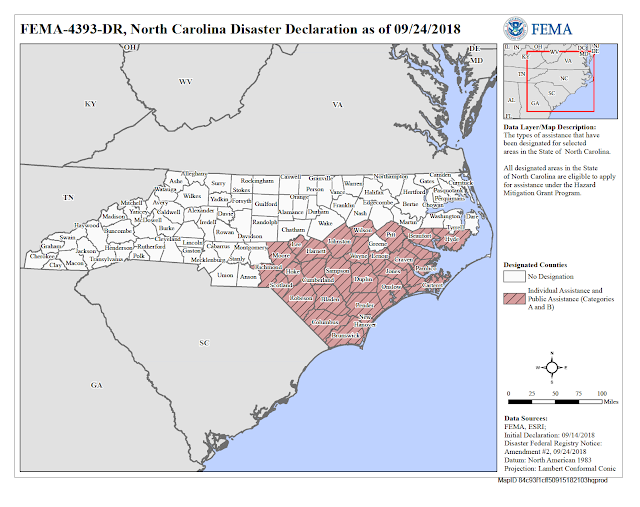 Fewer counties have been designated in Florence's aftermath than in Matthew, but many North Carolina communities were still in the midst of rebuilding from Matthew when Florence made her multi-day stay over the eastern portion of the state. 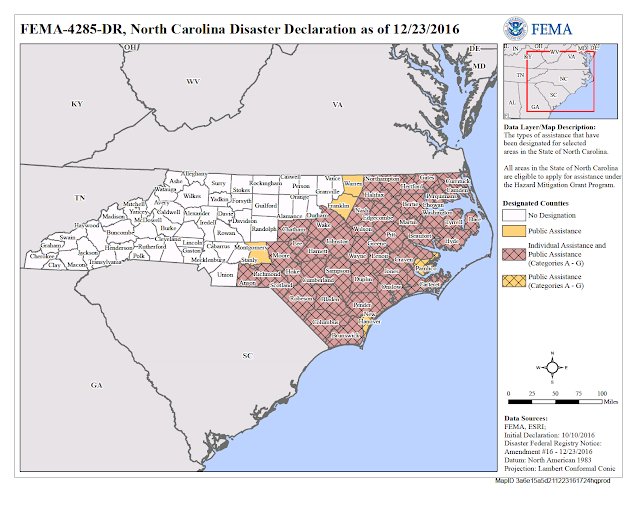 The timing of the storms may also have an impact, but we'll have to wait and see. Compared to the state-wide turnout rate of registered voters at 68 percent, the Matthew-designated counties collectively had a 67 percent turnout rate of their registered voters. In Matthew-designated counties, there tended to be a higher use of Election Day voting and a lower rate of absentee onestop (in-person) voting, in comparison to all other counties in the state and the state-wide numbers. White voter turnout in Matthew-designated counties was one point higher than the state or other counties, while black voter turnout was one point lower than the state or other counties. 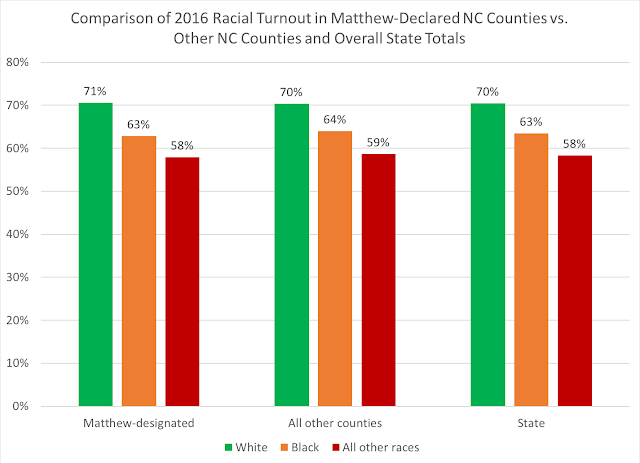 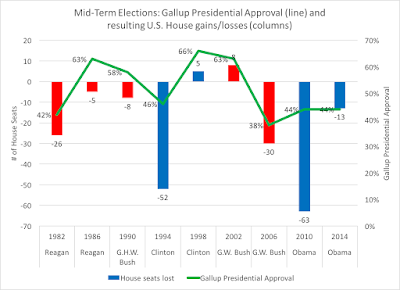 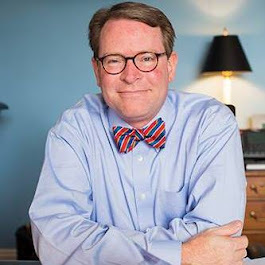 While some may make the argument that Matthew had an impact on minority voting, one needs to consider the fact that the top of the Democratic ticket in 2016 lacked a black candidate, another potential factor that could have contributed to the slight decline in minority participation from 2012 (when registered black voter turnout was 71 percent in both Matthew-designated and non-Matthew counties and registered white voter turnout was 68 percent in both types of counties).